The time has arrived for our annual year-end Club Championships! The tournament begins Thursday September 6th and concludes on our Finals Day Year End BBQ Sunday September 16th. This year we will be offering a grand total of 10 draws to allow many players to participate! Sign up will begin immediately and must be done in person at the clubhouse prior to the end of the day on Thursday August 30th. The draws will be done and posted by Sept 4th. *If you are looking for a partner don’t be afraid to sign up and we can try to find you a partner. The maximum number of draws a player can enter will be 2. Our A draws are catered to the more advanced players playing at a 4.0+ level. Our B draws are catered to the intermediate players playing at any level up to 3.5. We will be adhering more strictly to this rule this year. Please contact your opponent after the draw is made up and arrange your match time with them. All players are responsible to have completed any matches prior to their respective semifinals no later than Thursday September 13th. The larger draws will have must-play-by deadlines strictly adhered to for each round. Scoring for all matches will be 2 out of 3 sets (ad scoring) and the third set will be played as a super tiebreaker up to 10 points. Semifinals and finals will play a full third set if necessary. Semi finals will be played on Friday September 14th and Saturday September 15th and all finals will be showcased throughout the day on Sunday September 16th. We will also be holding our year end BBQ on finals Sunday to celebrate another great season! All players will be asked to bring a new can of balls each to their matches and the winner of the match will take home the unused can. Prizes will be awarded to winners and finalists of each draw! Here's to a great Club Championship. We look forward to seeing you participate - sign up as soon as you can! Lunch will be served after each session. Please confirm your participation by Friday June 29th. Sign up sheets are up in the Club House or you can call the club. MORE DETAILS TO FOLLOW. Please keep an eye out for emails from the Club! Saturday May 26 - Spring Awakening. 11am - 1pm. Tea, coffee, Cottingham Punch and pastries served. An opportunity to donate plants to our gardens and green our space! Take a look at the Photo Album below! Saturday June 9 - Ladies Doubles Round Robin. Sign up list on the bulletin board in the clubhouse; Play 12pm - 3pm, 3 courts. Come on down to the club and enjoy some great tennis! Food and refreshments provided. 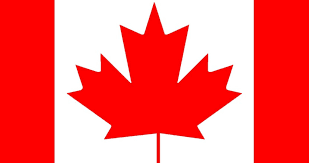 Sunday July 1 – Canada Day Bash Sign up 11:30am; Round Robin from 12-3pm, 4 courts. BBQ and refreshments provided! Saturday September 16 - Club Tournament Finals Day. A day to remember! Participants started to arrive at 9.15 and the last ones did not leave until late afternoon. We worked at serious weed removal, remarkable hole digging, scientific soil and fertilizer mixing, followed by planting and replanting of small and large shrubs and numerous plants. We also created a new long fence bed plus fresh garden edges that were carved along the north section. Much brush was also cut back. Luncheon comprised sumptuous sandwiches, salads and desert. The food was brought by all, and there was more than enough for the illustrious army that was assembled. Here were 13 fine tennis players turned Garden Gurus for a few hours out of their busy lives and schedules. A special Thank you to our resident garden expert, Dale Birkett, integral to our amazing team which comprises Mike Wilson, Lisa Fincato, Phyllis and Mark Earley, Susan Wallace, Chris Sawicki, Gini Baldwin, Virginia Spence, Patricia McElhinney, Patti Templeton, Henry Brenzel and Merla McMenomy. Shukie Halfon was unable to make this day but worked for us like a true Trojan, on all previous lead up days to this event. Huge thanks for your collective pride, enthusiasm and vision!